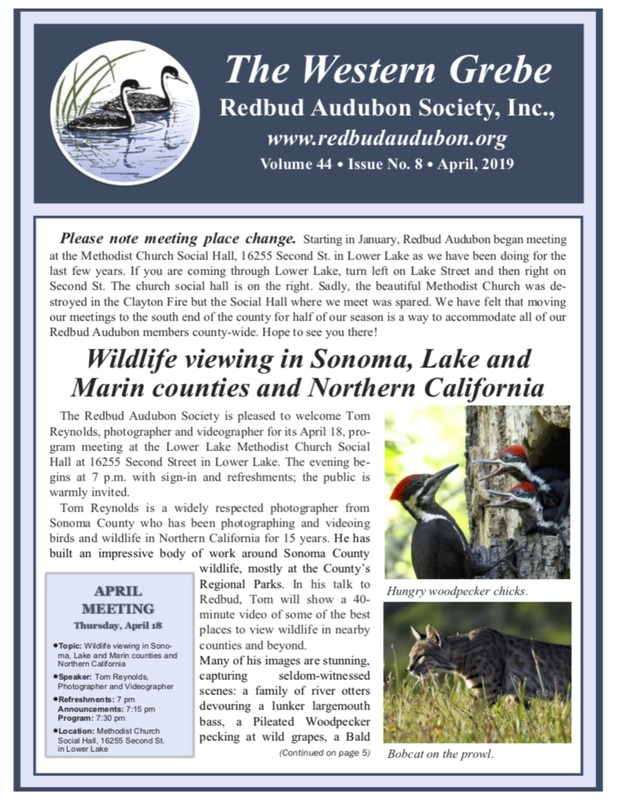 The Redbud Audubon Society is pleased to announce a presentation by Andrea Jones, Director of Bird Conservation for Audubon California, at our upcoming meeting on Oct. 18, at the Kelseyville Presbyterian Church Social Hall, 5430 Third St., Kelseyville, starting at 7 p.m. The Salton Sea, an inland saline lake covering 350 square miles in southern California, is a critically endangered Important Bird Area that hosts two-thirds of California’s bird species. For years, irrigation run-off water in the Imperial Valley fed the sea. 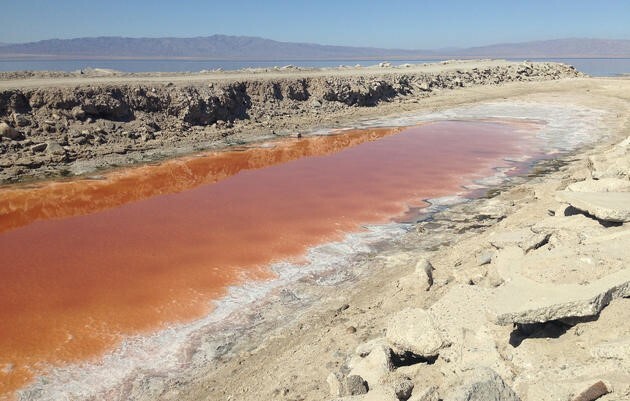 But in 2003, a deal was struck to divert more than 400,000 acre-feet of water that once flowed to the Salton Sea to San Diego and Coachella for urban uses. In 2018, water provided to the Salton Sea as mitigation for the 2003 deal will be shut off, meaning the sea will shrink even further. In the next 15 years, the Salton Sea will lose 40% of the water currently flowing into it. 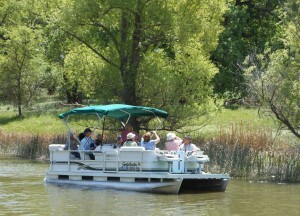 It will drop by 20 feet and expose 100 square miles of dust-generating lake bottom. The region’s strong winds will create contaminated dust clouds, worsening the already poor air quality in the region. 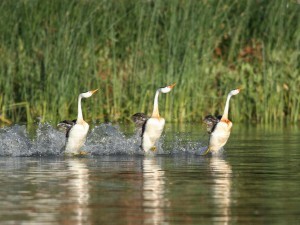 Salinity in the lake will triple, eliminating its fishery and most invertebrates that provide value to birds. 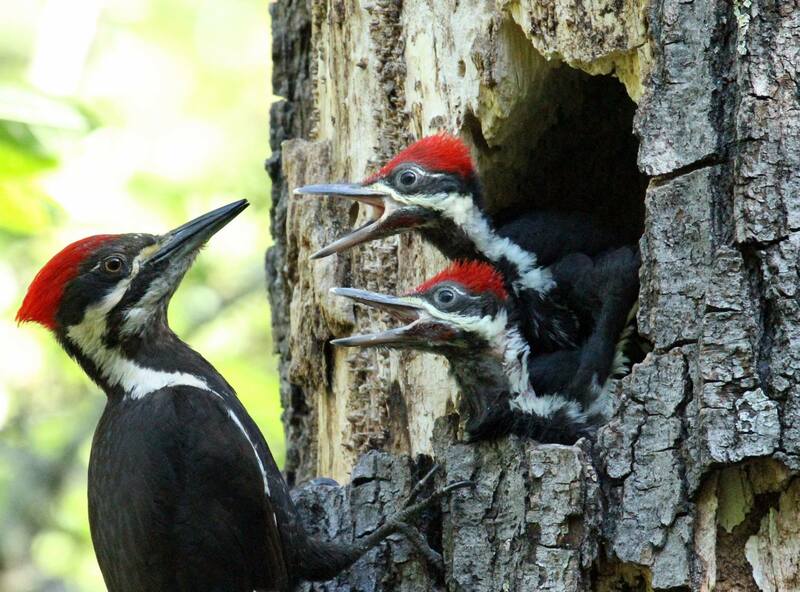 Our speaker Andrea Jones is Director of Bird Conservation for Audubon California. 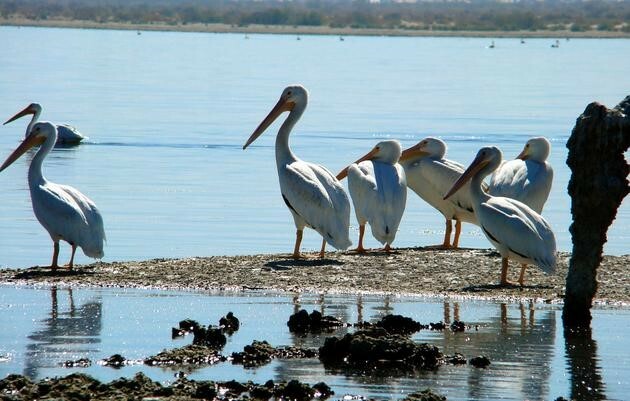 She will highlight why the Salton Sea is so important that over 400 species of birds use its habitats. She will also describe which species are most threatened by a changing Sea. Although the State of California agreed in 2003 to provide for habitat restoration and dust mitigation, the state has yet to follow through on these promises, and the situation at the Salton Sea continues to worsen as this year’s deadline looms with no solution. 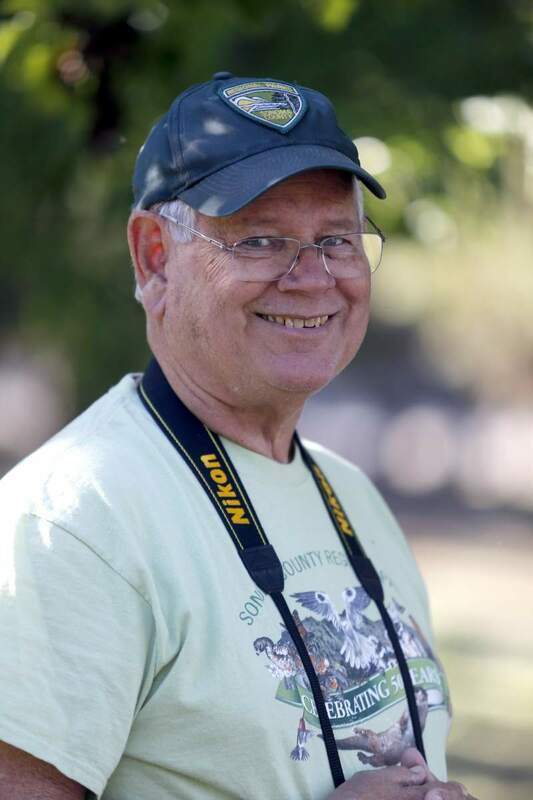 Jones will discuss past efforts to “restore” the sea and describe how Audubon is engaging currently in a new solution for the Salton Sea that will be beneficial to both birds and people. For the past 12 years, Andrea Jones has led conservation programs and worked with staff and the network of Audubon chapters across the state to implement conservation projects at high priority Important Bird Areas (IBAs). She oversees Audubon’s efforts in priority bird species and serves as the spokeswoman for bird conservation across California. Prior to Audubon California, Andrea worked at Massachusetts Audubon where she served as the Director of the Coastal Waterbird Program. Andrea received her M.S. in Wildlife Conservation/Ornithology and her B.S. in Wildlife Biology and Management from the University of Massachusetts, Amherst. 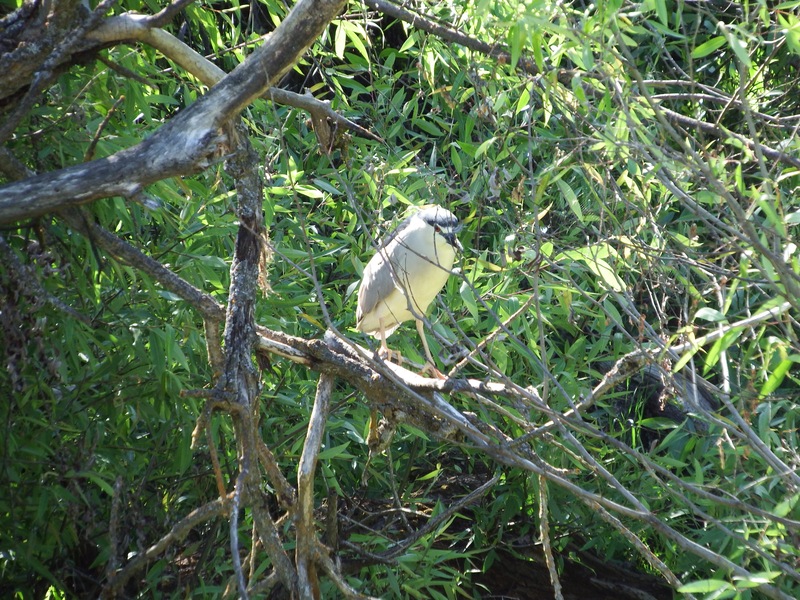 She is a past board member of Morro Coast Audubon and currently resides in the East Bay of San Francisco.